Hard Rock Hotel at Universal Orlando’s newly-redesigned Future Rock Star Suites let guests perform under the lights on their very own stage. 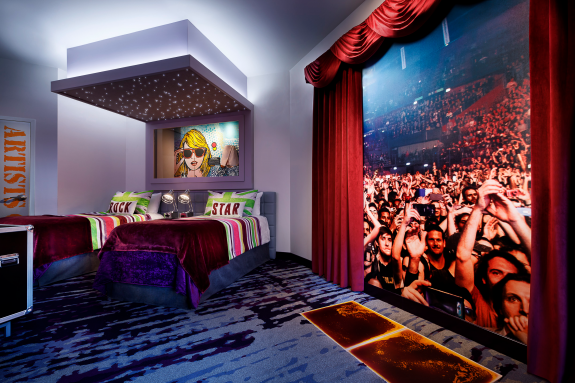 Designed to capture the excitement of being on tour, these two-room suites feature applause-worthy floor to ceiling details, including a stage with liquid flooring and lights, a twinkling starlight canopy over the beds and brand new Hard Rock memorabilia from today’s superstars. 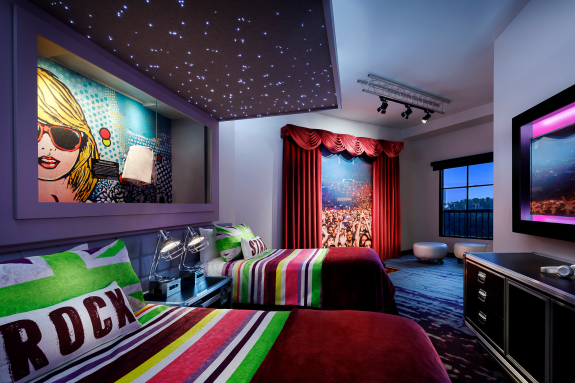 Each suite features an item once donned by a music celebrity and this marks the first time memorabilia has been installed inside a guest room at Hard Rock Hotel at Universal Orlando. 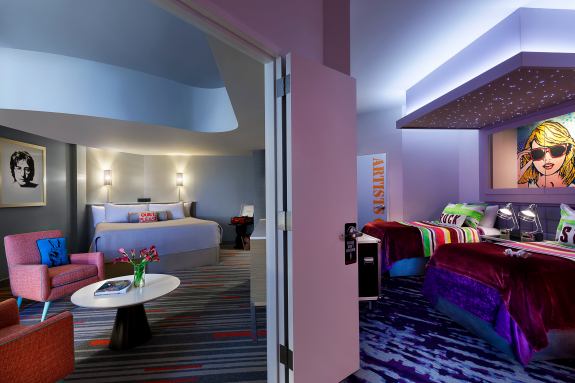 Every Future Rock Star Suite consists of a king room that connects through a “stage door” to a room with two twin beds and roadie case-inspired furniture. Hard Rock is recognized globally for world-class entertainment, stylish and contemporary design and unparalleled service. Guests of all Hard Rock Hotels enjoy an experience that infuses music as the key differentiator. Hard Rock’s The Sound of Your Stay is a complimentary all-encompassing in-room music amenity program that provides access to experiences for guests to jam out on a selection of Fender guitars or tune into the resurgence of vinyl records while listening to them on a Crosley turntable. At Universal Orlando Resort, guests of Hard Rock Hotel are just a short walk, complimentary water taxi or shuttle bus ride away from all three Universal Orlando Resort theme parks. 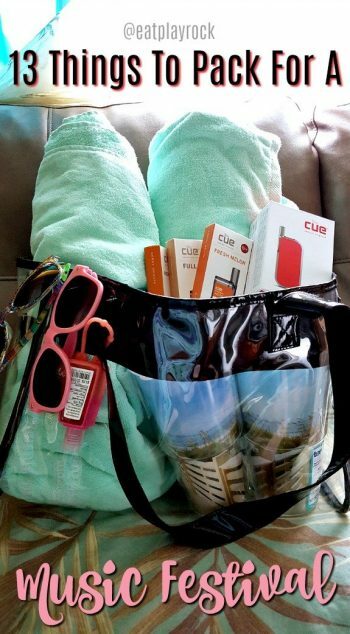 Guests receive an exclusive package of theme park benefits, including free Universal Express Unlimited ride access (theme park admission required) to Universal Studios Florida and Universal’s Islands of Adventure as well as Early Park Admission to The Wizarding World of Harry Potter and Universal’s Volcano Bay one hour before the theme parks open. Universal Orlando’s three theme parks, Universal Studios Florida, Universal’s Islands of Adventure and Universal’s Volcano Bay, are home to some of the world’s most exciting and innovative theme park experiences – including The Wizarding World of Harry Potter-Hogsmeade and The Wizarding World of Harry Potter-Diagon Alley. Universal Orlando’s on-site hotels, Loews Portofino Bay Hotel, Hard Rock Hotel, Loews Royal Pacific Resort, Loews Sapphire Falls Resort and Universal’s Cabana Bay Beach Resort, feature a total of 5,600 rooms and are destinations unto themselves. Its entertainment complex, Universal CityWalk, offers dining and entertainment for every member of the family. Universal Orlando Resort consistently unveils all-new guest experiences, including powerful attractions, incredible dining opportunities and dramatically-themed hotels. Now open is Universal’s Volcano Bay, an entirely new water theme park, and Race Through New York Starring Jimmy Fallon, an immersive and interactive attraction in Universal Studios Florida. With venues in 75 countries, including 180 cafes, 24 hotels and 11 casinos, Hard Rock International (HRI) is one of the most globally recognized companies. Beginning with an Eric Clapton guitar, Hard Rock owns the world’s greatest collection of music memorabilia, which is displayed at its locations around the globe. Hard Rock is also known for its collectible fashion and music-related merchandise, Hard Rock Live performance venues and an award-winning website. HRI owns the global trademark for all Hard Rock brands. The company owns, operates and franchises Cafes in iconic cities including London, New York, San Francisco, Sydney and Dubai. HRI also owns, licenses and/or manages hotel/casino properties worldwide. 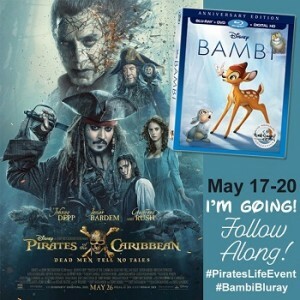 Destinations include the company’s two most successful Hotel and Casino properties in Tampa and Hollywood, FL., both owned and operated by HRI parent company The Seminole Tribe of Florida, as well as other exciting locations including Bali, Cancun, Ibiza, Las Vegas, and San Diego. Upcoming new Hard Rock Cafe locations include St. Petersburg, Cairo, Wroclaw and Chengdu. New Hard Rock hotel, casino or hotel-casino projects include Atlanta, Atlantic City, Berlin, Budapest, London, Los Cabos, Maldives, New York City, Ottawa, Dalian and Haikou in China. For more information on Hard Rock International, visit www.hardrock.com.